Framed Pieces Now Available on Wayfair! High-Quality, Custom-framed and matted fine art pieces are now available in new and exciting sizes. Take a look! The Outer Banks is Now Available! We are so excited to launch our OBX series! 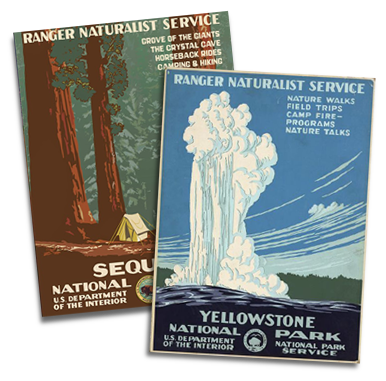 The first series is now available – posters, fine art prints, pint glasses, notecards and framed sets. T’s and coasters available next week. We hope you love them as much as we do!! In the spring of 2015, an idea was born out of a love for nature and vintage art. I loved the idea, of course, but there would be challenges. Most of the creative community knows -these things actually already did exist. In fact there are many out there -the problem was, they weren’t art. They weren’t original pieces or ideas and, in fact, most were photos or other materials with filters and text applied. Not very inspiring. Ours would need to start from scratch. They would need to be extensively researched and completely original compositions. It would take longer but they’d be special. Four months later, we released the first four in what is now a growing art series featuring regional natural wonders – the places that outdoor enthusiasts and locals love. We started in our hometown of Richmond, Va. with Belle Isle, Pony Pasture, Pipeline Rapids and the Atlantic Coastline Railway Bridge, and have since released four more art series: Washington, D.C.; another one in Richmond; Austin, Texas; and New York City. Earlier this year, we released the Outer Banks, in North Carolina. 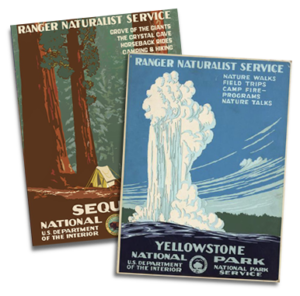 We’ve also worked with The Nature Conservancy! We’re even on Wayfair and Amazon now. Pretty cool, eh? 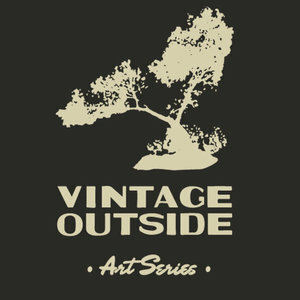 New D.C. Vintage-Style Art is on the Way! Love the D.C. Cherry Blossoms? 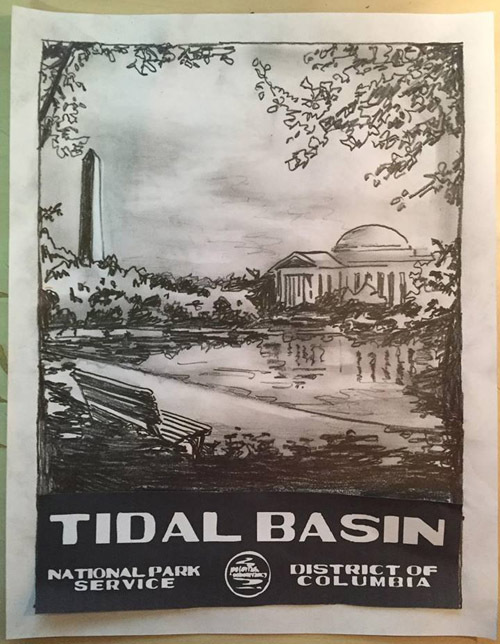 We’re hard at work on our new Tidal Basin poster!